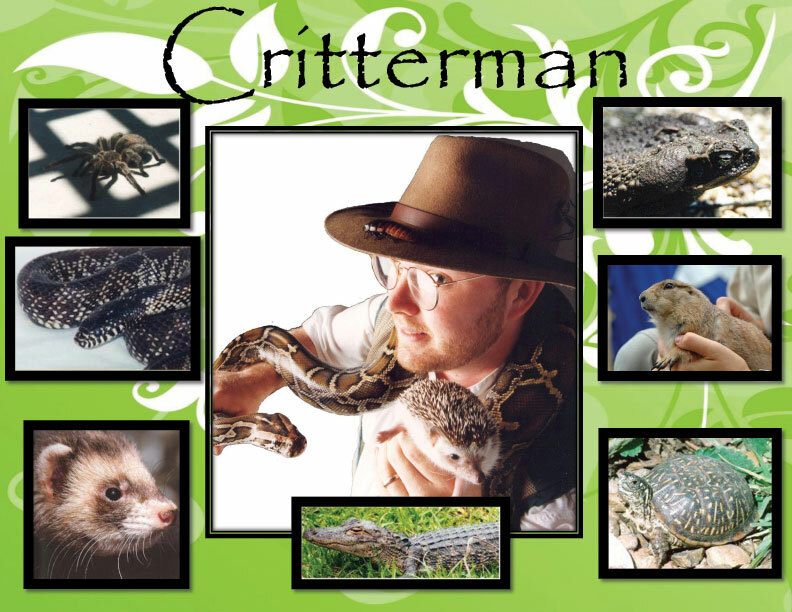 You are here: Home / Summer Reading Program 2014 / Critterman! Critterman came for a visit onTuesday, June 28. He brought with him some of our animal neighbors: a Tarantula, a Giant Toad, a Ferret, a Tortoise, a Prairie Dog, an American Alligator, and a King Snake. After the show the Critterman invited everyone to come up and feel the shell of the Tortoise. Everyone had a great time!